Been voted as #1 Beauty Salon of BestofCitySearch! 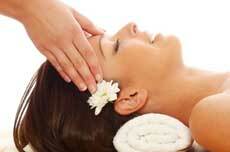 At Poshe Salon you will experience the ultimate in relaxation and rejuvenation, nourishing the body, mind and senses. Our specialists are available to guide you in formulating a personalized spa experience with our commitment to excellence. Our spa can be customized to include facials, pedicures, manicures and waxing.